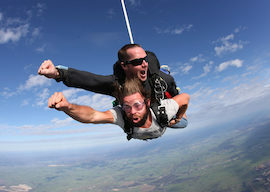 Prepare your buck and his best man for a unforgettable bucks party as they both take a jump from 14,000 feet. 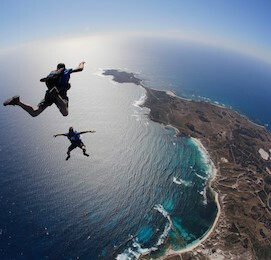 Yes that’s right – your bucks party planner has set your two mates up with a tandem skydive above Perth! Once the boys have stopped shaking and their heart rates have returned to normal, we have your Bucks party package to keep the celebrations rolling. Get picked up in a club styled chrome limo with all the updates, including light and sound effects and an underbody smoke machine. 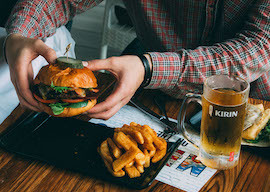 After a tour around town you will be dropped off at your party venue for dinner and drinks, to celebrate your buck’s final ‘flight’ for freedom – pun intended! How does sending your buck on a 14,000 ft. fall sound? 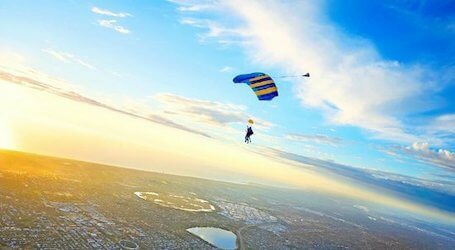 Well it would be no good to send him on his own… So give him the company of his best man as the two of them tandem skydive above Perth! This unforgettable experience will have their hearts pounding and their mouths dry – and in need of a celebratory drink! Once the boys are back on solid ground, it’s time to continue the party in style with this ultimate chrome hummer tour and all of its glory. You will enjoy a Hummer cruise around Perth with all the latest lighting and sound equipment, perfect to get you into the right party mood! 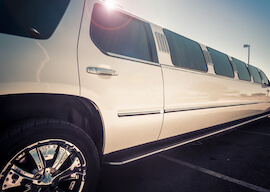 Your hummer will then drop you off at your next party venue. 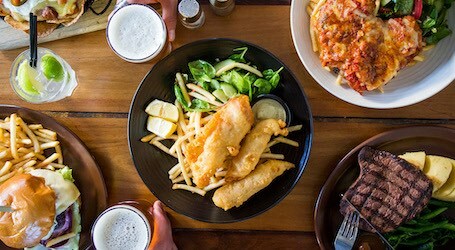 Arrive at this Perth hotspot and be shown to your reserved bucks party area where you will enjoy some of the best menu items Perth has to offer. Trust us when we say it’s the most mouth-watering tucker you will ever eat! You will be able to wash it all down with your buck’s exclusive bar tab set up by your personal party planner. Bon appetit!